The classic luxury watch par excellence. Rolex stands for prestige and success, but also for reliability and high-end watchmaking. 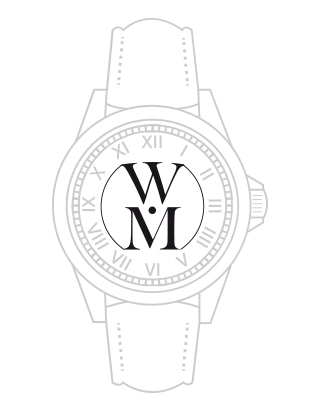 Due to their simple and timeless style, their men's and women's watches are instantly recognized all over the world. Our online store offers a large selection of certified pre-owned Rolex watches for sale in excellent condition and vintage luxury models. We check and certify our watches for you, thanks to the certificate of authenticity, you can be sure that your watch is an original Rolex watch. You have already made your decision and cant wait to get your favourite watch home? Pay quickly and easy by credit card, Paypal or bank transfer. If you like to see your money on your account for a longer time period, you can sign up for the opportunity - decide for financing. Pay the purchase price in small installments which allow you to plan your investment in the long term. Inform yourself on our website, which payment option is the right for you. Come and buy your Rolex watch for a cheap price today. Are you interested in selling your Rolex? 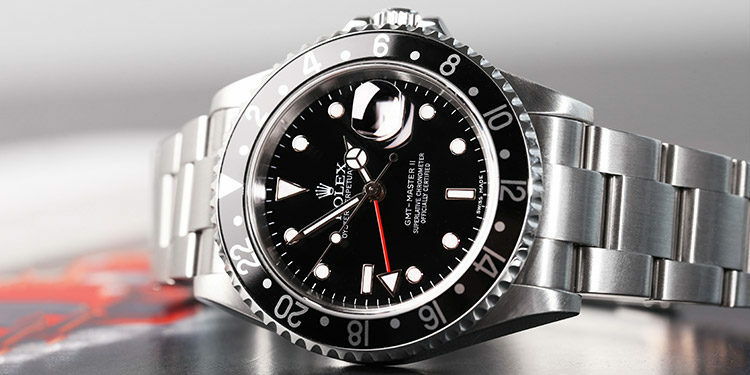 As Europe's largest used luxury watch retailer, Watchmaster is your trusted partner for selling Rolex watches online. If you're interested in trading-in or selling your timepiece, our expert team at Watchmaster can help you do so fast and securely. Get in touch now to receive a free, non-binding appraisal for your Rolex. Simply submit your query using the form, or contact our customer service for further information. We look forward to hearing from you! The history of Rolex began in 1905, when Hans Wilsdorf in London, together with his brother-in-law, founded an import company for Swiss watch movements. Wilsdorf believed in the importance of wristwatches, which were still rather unpopular at that time, mainly because their accuracy left much to be desired. The wristwatch, so the consensus, would never reach the precision and reliability of a pocket watch. Their case was considered too small for a powerful movement, the constant movements of the wrist has too much strain. Wilsdorf was not deterred and restlessly drove forward the development of watch technology, despite all doubts. This indefatigable work was not without success. In 1910, Rolex refuted the reputation of lack of precision when a model from Rolex earned the first chronometer certificate for wristwatches. Four years later, the company even surpassed this achievement when one of its watches achieved to surpass Class A Precision Certification - a sophisticated precision accuracy certificate previously reserved for large and complex marine chronometers. In 1926 Rolex made the next breakthrough in a fundamental weakness of the watch: its high unreliability. The problem was vested in the winding crown of the movements, through which dust and water could easily penetrate the sensitive movement. Wilsdorf solved it with entrepreneurial skill by purchasing a patent for a lock-tight winding crown and making it the first waterproof and dust-proof housing for wristwatches. Perhaps the greatest legend of watchmaking history was born: the "Oyster" case, which is still used today for almost all Rolex watches and of course the most popular Rolex model series such as the "Submariner", the "Daytona" and the "Datejust". But like nearly all innovations, the "Oyster" brought up downsides. It soon became obvious that the tightness of the watches could not be guaranteed on long run as their wearers did not screw the crown properly after putting the watch on or the seals wore out. Rolex also overcame that challenge by simply eliminating the manual wind lift! In 1931, the company purchased the patent for a spring-loaded, light-weight spring mounted inside the watch case and driven by the wearer's movements. Like the waterproof case, the automatic watch made its triumphant advance under the brand name "Rolex" until the patent expired in 1948. And yet another innovation is associated with the name "Rolex" - the date display as we know it today. Although previously watches with additional hands and a calendar scale on the edge of the dial were widespread, but they were optical overloaded and difficult to read. No wonder, then, that the "Rolex Datejust" with its discreet window and the date plate installed under the dial immediately became a bestseller. Innovations were always an important key to the success of Rolex - but the fascination with the brand would never have left enthusiast circles if marketing genius Hans Wilsdorf had not spectacularly staged their technical masterpieces. The myth began in the cold waters of the Atlantic Ocean: on 7 October 1927, the young Briton Mercedes Gleitze became the first swimmer who successfully cross the English Channel. When she announced a repetition, Wilsdorf saw a chance to publicize the reliability of the "Oyster". In a letter he offered Gleitze a watch as a gift if she would wear it while crossing the canal. Although the Briton was unconsciously pulled out of the nearly freezing water after more than 10 hours, the "Oyster" had accomplished its mission: The watch was in immaculate condition and accurately indicated the time as if nothing had happened. An impressive triumph of technology that Rolex announced with an ad on the front page of the Daily Mail. The popularity of this endurance test has led to a long series of collaborations with athletes and explorers who have consistently tested the durability of Rolex watches in the most inhospitable extreme situations on earth. 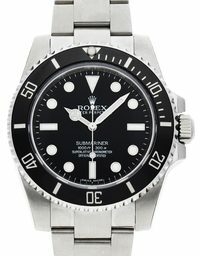 Also legendary are the trips to the deepest point of the oceans, which made Rolex models of the "Deepsea"series had made. When in 1960 the discoverer Jaques Picard dived with his submariner ”Trieste” to the deepest point of the oceans, the Challenger Deep in the mariana trench, a Rolex Deep Sea Special was attached to the outer shell of the Trieste. In 2012, Rolex was an active part of the team when Hollywood director James Cameron, along with the National Geographic Society with the Deepsea Challenger dipped back into the Challenger Deep. A robotic arm had a Rolex Deepsea Challenge attached to it. Since the watch rose again unscathed and undisguised from 11,000 meters depth, can be arguably rightly spoken of a "masterpiece of engineering". In memory of these dives, Rolex launched the Rolex Deepsea D-Blue in 2014 with a blue-black dial. 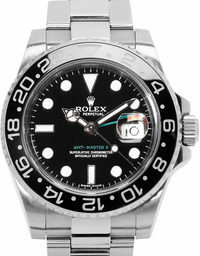 But not only in the deep sea, also on the highest peaks of the earth Rolex watches have proven their durability. In 1953, when Briton Edmond Hillary mastered Mount Everest's first successful ascent, members of her team wore Oyster Perpetual watches. As a tribute to this achievement and as an application of the technical knowledge gained Rolex created the model "Explorer", which enjoys great popularity today among climbers and speleologists. Even in the world of sport, the company has left a deep mark. For more than 50 years, Rolex has been a leading sponsor of many disciplines such as tennis, sailing and motorsport as they embody the company's quest for perfection. 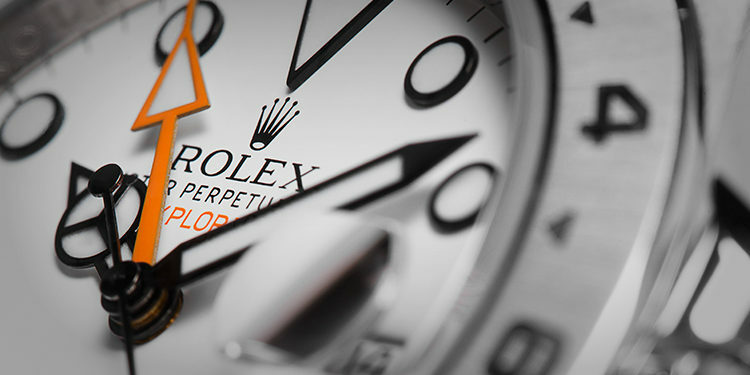 Meanwhile, the Nimbus of the brand has achieved such a shine that Rolex does not actively seek brand ambassadors - as the handmade swiss watches are worn by countless celebrities such as John F. Kennedy, Che Guevara, Arnold Schwarzenegger, Pablo Picasso, Eric Clapton and the Dalai Lama out of pure enthusiasm. Probably the best-known model is the Submariner, whose unmistakable style has been imitated countless times but never surpassed. 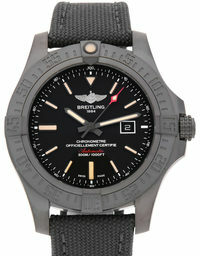 It is undoubtedly the most popular watch model of all time and is owned by every luxury watch collector. The Daytona is considered the iconic model of Rolex. 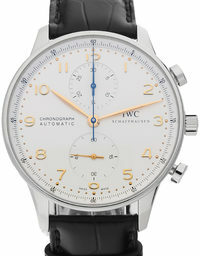 The Swiss manufacturer produces this model only in very limited numbers, so the waiting lists are exceptionally long. 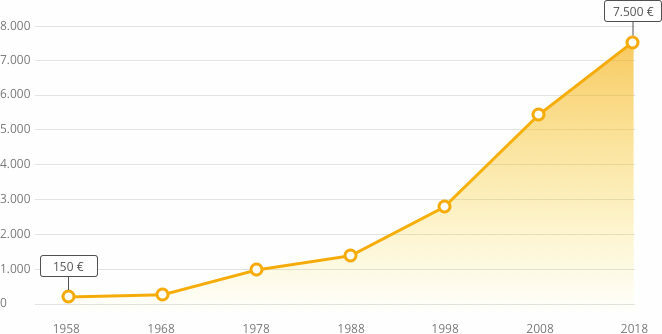 For this reason, the Daytona is considered the model with the safest value retention and the highest collectors value. The GMT-Master II was developed in collaboration with Pan American Airways who needed a watch for their pilots that could display at least 2 time zones. With its distinctive two-tone bezel, however, the GMT Master quickly became highly popular beyond it´s target audience and was seen on the arm by countless actors, musicians and astronauts. 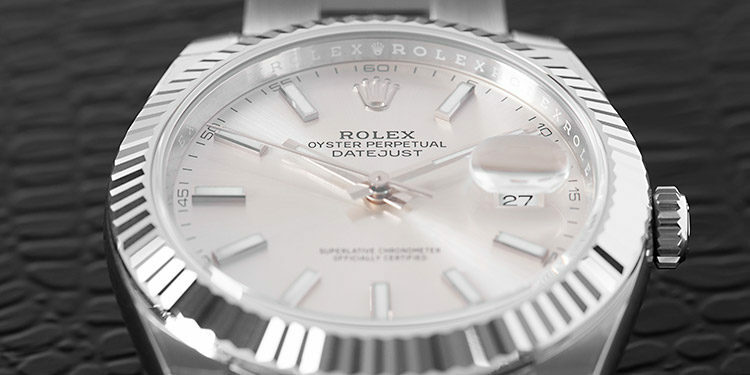 The Rolex Datejust design-technically THE stereotype of a watch - classic, clean and tidy. The date is at this handcrafted Rolex, at three o'clock position and is provided with the Rolex typical magnifying glass. It was already presented in 1945. The 1956 introduced Rolex Milgauss with the unmistakable second hand in the form of a lightning bolt. With a diameter of 40mm also suitable for strong wrists. 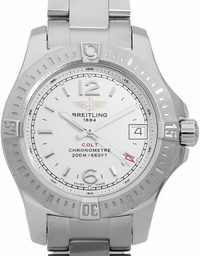 It is equipped with the reliable 3131 caliber which is also protected against magnetism . This model quickly became one of our favorites. Rolex has stood for quality and luxury for decades. This fact, without question, benefits the potential for a profitable investment. Vintage watches from Rolex increase almost without exception in value, special models gain value sometimes several hundred percent. In particular, the Submariner models COMEX and "Red Sub" are to be mentioned. A Red-Sub has already risen to a good € 16,000 in value and the COMEX diving watches reach, depending on the condition, top prices between € 40,000 to a whopping € 100,000. But also regular models of the Submariner from 1993 and 2017 increased between 2000 € to over € 7,000 in value. 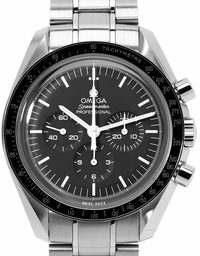 With a purchase on watchmaster.com you are on the safe side, as all watches are certified from our in house service center. The philosophy behind the success: "The Rolex Way"
One of Rolex's greatest successes is its consistency: its philosophy has not changed for over decades. Today, as 100 years ago, precision, reliability and the highest quality are values that the company realizes with rock solid determination. In order to meet its own demands, Rolex basically goes its own way in the production of its timepieces. The motto behind this approach - "The Rolex Way" - is an extra mile to the quality standards that only very few competitors can accomplish. It all starts with the evolution of the movements: every Rolex watch has a chronometer certificate - a high-quality passport wich stands for accuracy that only a few models qualify for among Swiss watch movements. It also includes the materials used, which are selected and tested with the utmost care. In addition, Rolex prefers to use its own materials to ensure a quality standard far beyond the usual industry level. Last but not least, these standards apply to every single watch that the Rolex factory is allowed to leave. All finished specimens are subject to extreme endurance testing to ensure their unrestricted performance in all conditions. When making excellent timepieces, every little step is an important step on the way creating a perfect product. Rolex was a pioneer in several areas: A major milestone in the company's success story was the development of the Oyster case in 1926. The world's first waterproof case is now the shell of most Rolex watches, protecting their inner movement from shock, dirt and especially water. Caseback, bezel and winding crown are screwed to the middle section so that the housing is completely sealed watertight and thus protects the movement. Diving depths of at least 100 m are standard for all Rolex watches with the Oyster, special models such as the Rolex Deepsea even master a fabulous 3,900m depth. Decisive for the success of the housing architecture is the robust center section. High-quality materials such as stainless steel Oystersteel, 18ct gold and platinum guarantee that the load-bearing element remains robust and elegant at the same time. The ribbed caseback is tightened with a special key so that only authorized watchmakers get access to the inside of the watch. 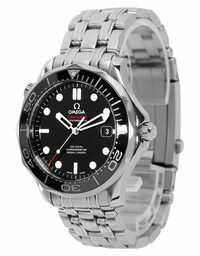 The counterpart to this is the serrated bezel, which must also be tightened with a special key and provides waterproofness. Meanwhile, it also contributes significantly to the recognition value of Rolex watches; Of course, its siblings are in no way inferior to waterproof ones. The case is crowned by the winding crown, which refines it visually and gives it the final touch. They are available as Twinlock and Triple crowns, each with two or three seals wich guarantees hermetic tightness. 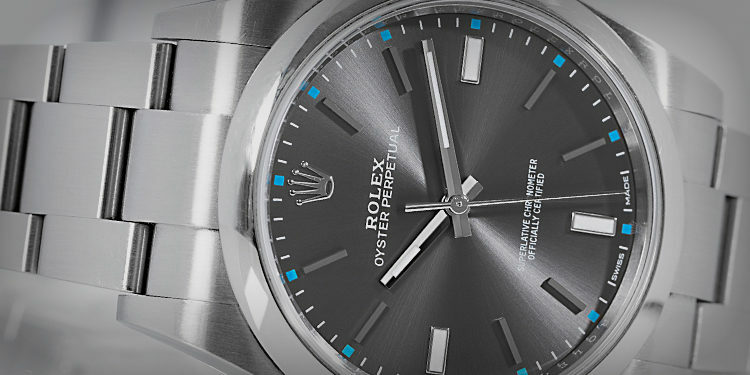 For the selection of materials, Rolex relies on in-house creations: The stainless steel “Oystersteel” is particularly corrosion-resistant and can be polished to a high gloss. Rolex's own superalloy belongs to the steel grade "Stainless Steel 904L", which is mainly used in space technology and industrial processing. The watches of superlatives are made for use in extreme conditions and thanks to innovative Rolex technology underwater as well as in the air. Rolex also follows strict regulations when processing other precious metals in order to guarantee excellent quality standards. The use of 18ct gold guarantees the distinctive luster of the case and bracelets and their longevity. 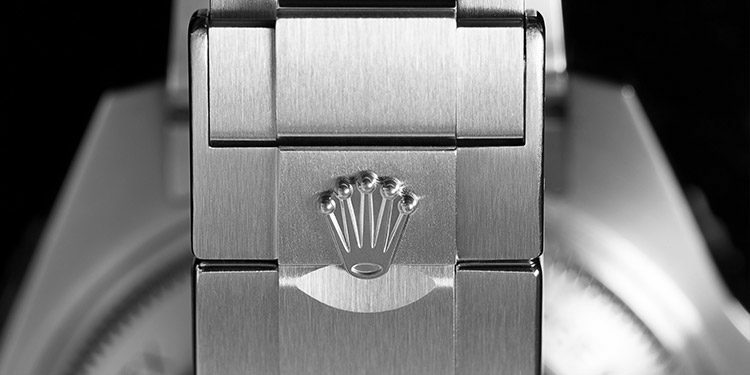 The white gold used at Rolex is created by an alloy of pure gold and silver. Rolex's Everose gold is created through a unique composition of gold and copper. When platinum is used, Rolex uses an alloy of platinum and ruthenium that provides an exceptional hardness. Another innovation from Rolex is called Rolesor. The unique combination of stainless steel and yellow or everose gold case and bracelet Rolex patented in 1933. 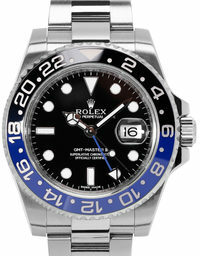 Rolesor stands for Rolex models in which the middle part of the bracelet, the bezel and winding crown are made of gold. The outer parts of the bracelet and the case are made of Oystersteel. Similar origin in the comic world have the epithets "Hulk" and "Kermit". However, they refer to Rolex Submariner models. The "Kermit" is an anniversary model of the Submariner 16610 with black dial and striking green bezel, which is marked in the reference with the ending LV for "lunette verte" or "green bezel". His successor model with green bezel and green dial is referred to in expert circles as "Hulk". 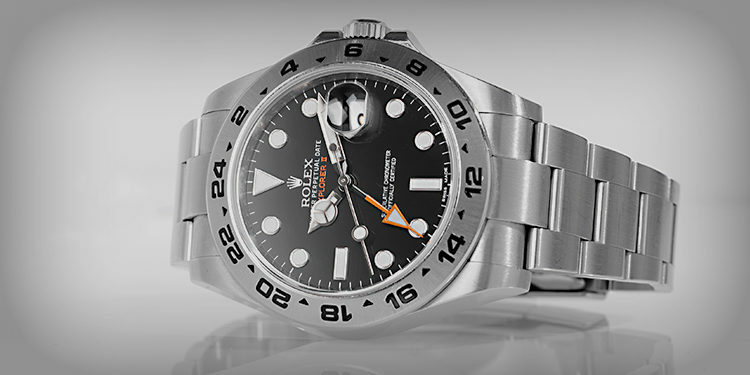 The Daytona "Panda" (Ref 116523) comes with a white dial with black sub-dials. 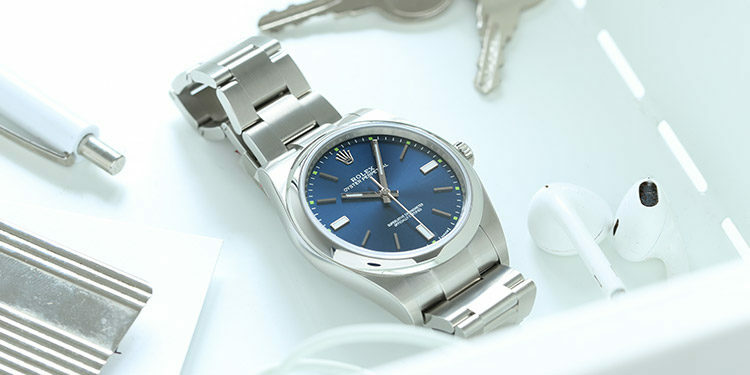 Also on the Daytona "Ice Blue" the dial is decisive for the name: the ice blue dial of the platinum watch is surrounded by a maroon colored bezel. 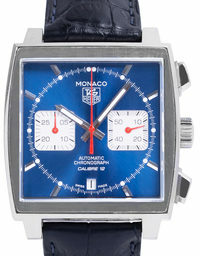 The same applies to the Oyster Perpetual "Azzuro Blue" (ref 177200), whose bright blue dial attracts attention. 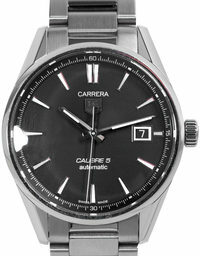 Other watches got their nicknames because of well-known personalities who wore them regularly on the wrist. The "Paul Newman" Daytona is the best example of this. The actor with the blue eyes helped the Daytona series to fame, as "Paul Newman" Daytonas are only watches with the reference 6239 Exotic Dial.